Celebrating 50 years in business!!! “A good name is more desirable than great riches”… Don’t take our word for it though, read our reviews on Superpages, YellowBook & Insiderpages. Whether it’s a new purchase, custom design, or a Jewelry repair we have the knowledge and experience to handle all you jewelry needs. All jewelry repair in done on site. 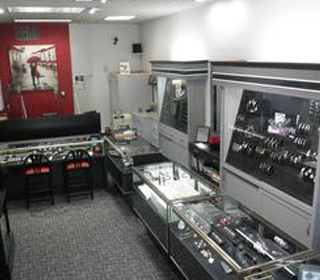 Our jewelry store has been in Pittsburgh area for 50+ years. We can help you create your perfect engagement Rings. Looking for Engagement rings in Pittsburgh? We can help you with this major decision in your life. We take a different no-pressure approach to selling engagement rings. Come view our in-house selection that boasts both traditional and contemporary designs. You can also view our online catalog. 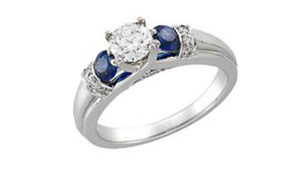 If we do not have the diamond or engagement ring of your dreams we will get it for you… as soon the next day. You can also search through $30 million of Diamonds. Established in 1969, Werner’s is a family-owned fine jewelry store in Pittsburgh that specializes in exquisite custom design jewelry, the finest conflict-free diamonds and gemstones, and we offer the largest selection of Trollbeads. Werner Jewelers originated in downtown Pittsburgh in the historic Clark Building as a wholesale jewelry store and diamond setting shop. In March of 1998, we relocated our jewelry store to Pines Plaza in the North Hills (our hometown) and for the first time in 30 years, we opened to the public. With our multitude of resources and years of experience, we feel confident that we can service all of your jewelry needs. We are one of only a few jewelry stores that do on site jewelry repairs, in fact we still work for 6 other jewelry stores.